Why do so many poets commit suicide? My daughter’s away at college and planning to be a poet. Needless to say, I’m worried. Can you say anything to discourage this trend? — R. D.
I wrote poems when I was 13 and it didn’t cost a dime. Unfortunately, most poets want recognition, and that can cost a lot. 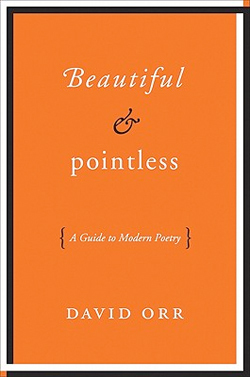 True, poets don’t need to go to school to write good poems, but these days poets are expected to give lectures, conduct workshops, and write intelligible and pertinent blurbs on the back of other poetry books. Those all require a decent amount of education, probably including grad school, which can get expensive depending on where you go. But that’s just the monetary cost — there are others.